a basic, essential, or indispensable element; a foundation. an important quality or feature on which something depends or is based. Our name says it all. Cornerstone Real Estate Services is the reliable foundation you can lean on when it comes to residential real estate in the Greater Sacramento area. We serve the fast-growing Natomas community and many more locations throughout Sacramento, including El Dorado Hills, Folsom, Roseville, and Granite Bay. Whether you’re an investor looking for income property or a first-time homebuyer who’s ready to invest in theirdream home, you can rely on us to help you find the options that give you the mostvalue for your money and the best return on your investment. From staging and other cosmetic renovations, to marketing, negotiating, and closing the deal, we’re by your side to provide guidance and expert help throughout the entire selling process. Through up-to-date advice and round-the-clock assistance, we do all we can to ensure the best possible returns on your investment properties. We establish and cultivate long-term relationships with property owners and tenants alike to ensure the most pleasant, productive experiences for both parties. Need help identifying, buying, renovating, and selling an investment property? With our in-depth understanding of current market trends and reliable network of partners, we will help you create the perfect package and engineer the most effective sales strategy. Our mission is to provide our clients with top-notch, professional representation.Through the years, we’ve worked with everyone from out-of-state investors to first-time buyers to families moving up or downsizing. With our experience,marketing savvy, networking expertise, and hometown knowledge,we’ll help you get the results you want. The hallmarks of the Cornerstone brand of customer service are credibility, transparency, responsiveness, and courtesy. You will always be our top priority. 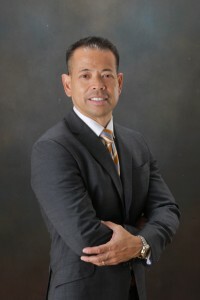 My name is Mani del Rosario and I’m the owner and principal broker of Cornerstone Real Estate Services. Thanks for taking the time to visit our website. For over 15 years, I’ve helped homebuyers, sellers, and investors make theright decisions in real estate in the Greater Sacramento area. I started out by purchasing several new homes as investment properties when I moved to Sacramento in 2001. Three years later, my associate Zen Mendoza and I founded Cornerstone to help our investors market and manage their income properties. Over the years, I’ve honed my expertise not only in buying and selling, but in overall property management as well. In addition, I’ve gained notable specializations that are useful in unpredictable real estate markets. As a Certified Distressed Property Expert(CDPE), I help property owners figure out a way to avoid foreclosure. My team and I take pride in having successfully guided owners through the property rehabilitation process as well as facilitatingnegotiations that have resulted in reasonable short sales and profitable deals. I also specialize in listing and selling foreclosed/bank-owned and income properties and have been certified by OneWest Bank for real estate owned (REO) property transactions. It’s been my pleasure to serve as my clients’ guide to Greater Sacramento real estatefor nearly two decades. Now, as the region continues to gain steam as one of the country’s premier real estate markets, I’m excited to help you achieve your goals, as well. Allow me to be your Sacramento real estate expert. If you’re ready to buy or sell a home or to expand your investment property portfolio here, let’s talk. Give me a call at (916) 949-9499 any time.